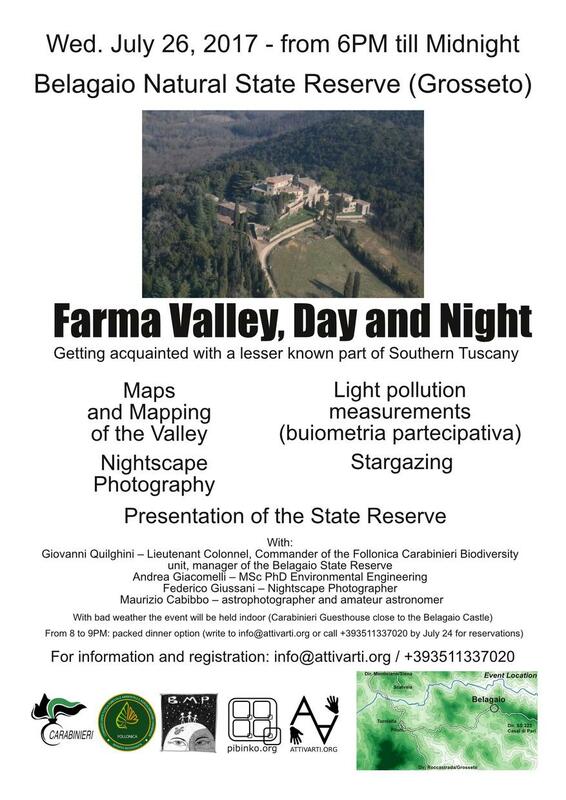 Come to a quasi-unknown valley halfway between Siena and Grosseto and learn more about, community mapping, participatory light pollution monitoring with the BuioMetria Partecipativa project, nightscape photography, and stargazing. NOTE: Given the peculiarity of the site and the conditions of the road to reach the castle, please pay extreme attention if driving to the area, especially starting from sunset. Before parking, ask for indication to the event staff. You are also invited to register in advance to the event (info@attivarti.org or +393511337020).